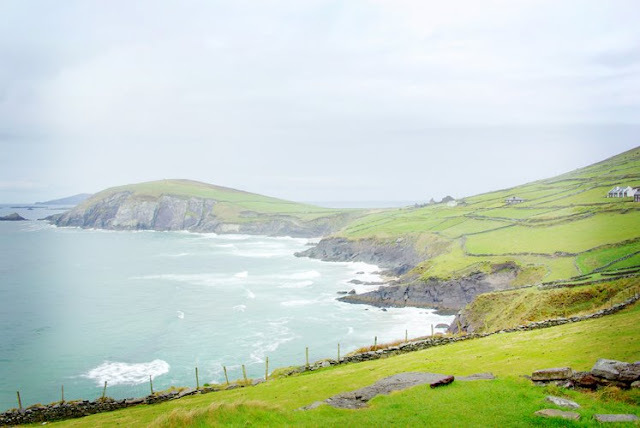 I must go back some day to drive along the Dingle, have Irish pancakes again and enjoy the goodness of traditional Irish brown bread. Oh and the traditional Irish breakfast too... I love food, remember?! 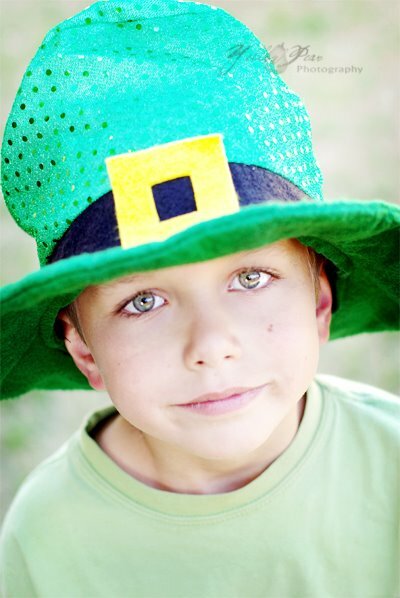 Wkipedia says "St. Patrick's blue, not green, was the colour long-associated with St. Patrick". 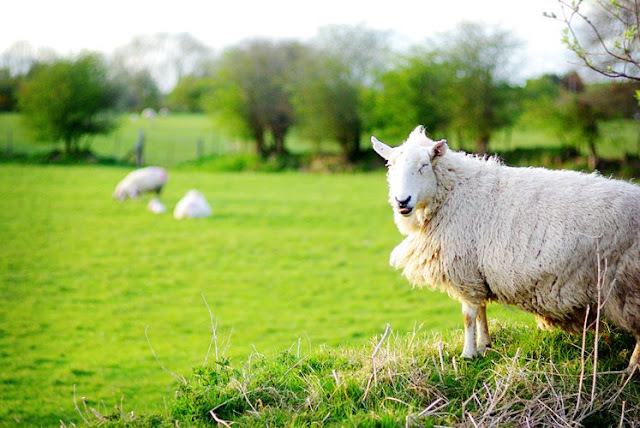 It goes on to say that green may have become associated with Ireland, and St. Patrick's Day through the phrase "the wearing of the green" or the wearing of a shamrock as a sign of Irish nationalism. 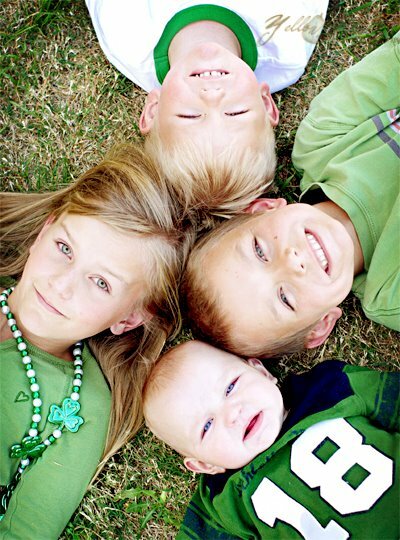 According to legend, St. Patrick used the shamrock with its three leaves to explain the Holy Trinity. The change from blue to green probably happened around the1750's. Can you believe I got them all looking and smiling on the second shot?! Uncanny. 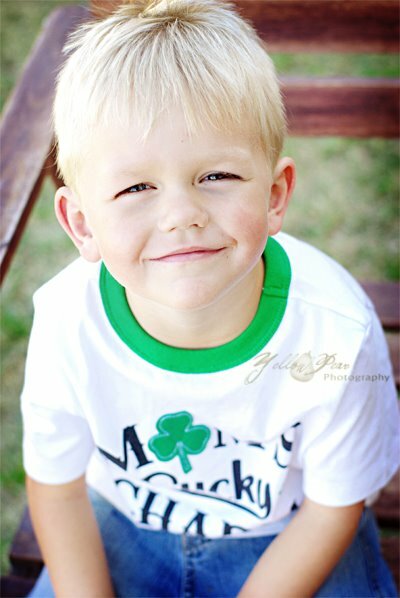 His shirt reads "Mom's Lucky Charm"...he is. Miss B said her class was amazed at her entirely green ensemble. (I'm amazed she's so gutsy. She wore the hat, necklace, knee socks and fancy shoes all day.) Q borrowed Mr. C's hat for a minute, see how thrilled he is? "Cept he didn't so much dig it one second later when it covered his head completely. With his hat back....he looks like a leprechaun, huh!? 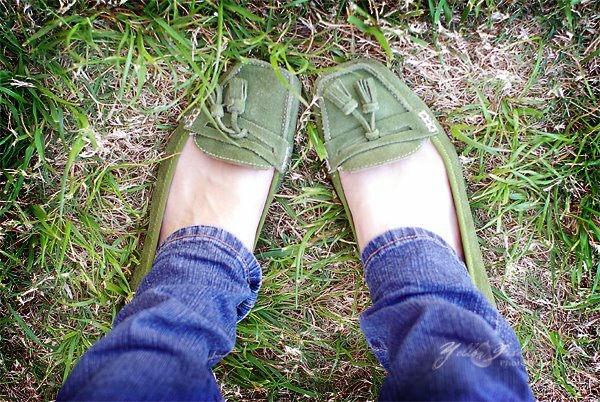 Here are my Irish green shoes....amidst my not-so-green grass. 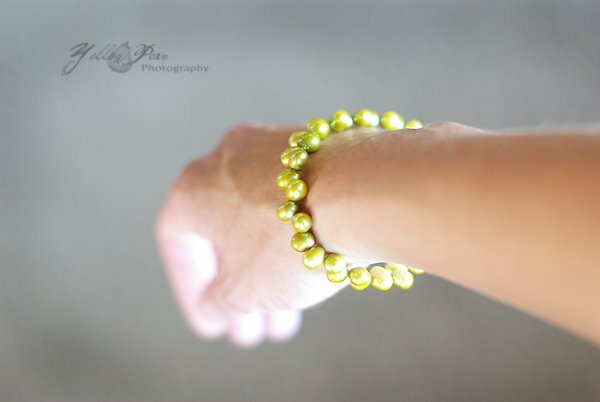 And my lovely green pearls that my mother gave me for Christmas...smashing, huh? I have a necklace and earrings to match even. It's just really hard to take self-photos of a necklace or earrings, so you'll have to imagine their splendor. I love it! Take me to Ireland next time, would ya? 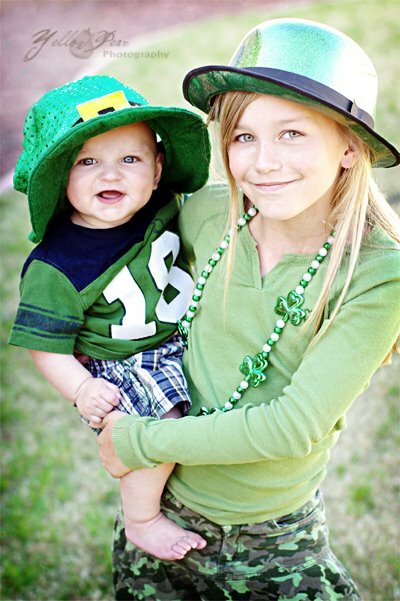 Happy St Patty's Day!! Oh Ireland! Such a beautiful and peaceful country! I truly want to retire in a small cottage there! Oh, my! 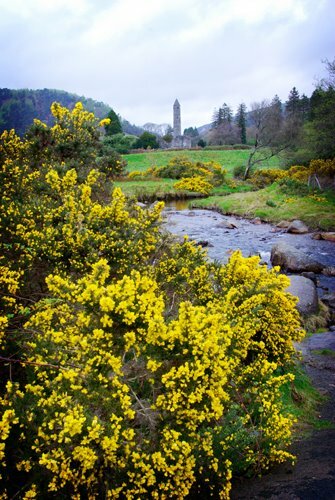 Those pics of Ireland are AMAZING! I am so jealous! My goal is to travel and see the world. I think we'll be held accountable in the next life if we don't. Seriously. What fun for St. Patrick's Day, though! Did you make a green dinner?? 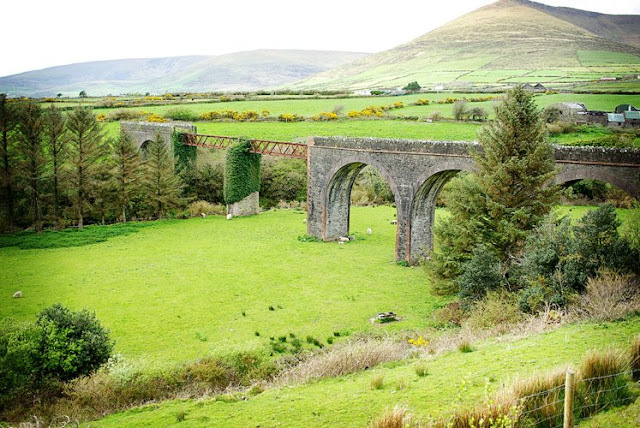 Let's run away to Ireland that looks like a beautiful place to hide-out.